Perhaps it came as a shock to Mr Punch to discover he is made of wood. If he was feeling nervous he certainly didn’t show it. 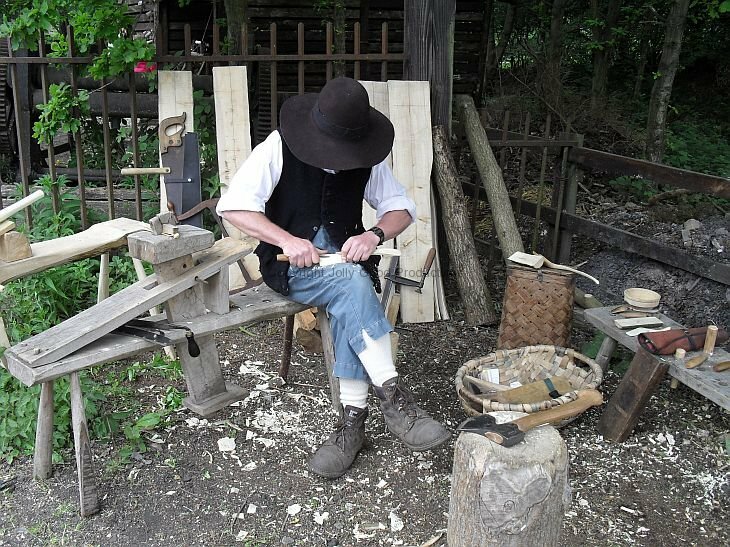 This is Mr Punch at the Beamish Museum Autumn Agricultural Show with a master craftsmen highly skilled in the art of woodcraft. Taking a break after another energetic performance of his famous Punch and Judy Show, old red nose slipped into the craft tent for a breather. What a come down after 350 years of celebrity status to suddenly find your ancestor was a tree! Mr Punch in the craft tent. This entry was posted in Punch and Judy and tagged Beamish Museum, Mr Punch, Punch and Judy on September 28, 2015 by ronwooduk.